Finding a good hotel, while planning a vacation is like trying to find a needle in a haystack. There’s always going to be something missing, no matter what the online reviews say! This is especially true when you’re planning a trip to Disney World. Your main focus will be to figure out which attractions to visit, find the best eateries, and planning your budget. So, accommodations seem secondary—albeit very important. You probably believe that you’ll be able to find something that offers a decent experience. But with the holidays around the corner, it’s more difficult than you think! If you belong to a union or an organization that receives discounts, you can use this to your advantage. Organizations like the AAA and AARP often receive discounts for Disney World and hotels. If you’ve served in the military, there are special discounts for veterans. And if you’re not, that’s okay too. Depending on the type of credit card you have, you can also receive a 5 or 10% discount! Pop Century offers low rates and there are plenty of 3-star hotels owned by Disney. They’re less expensive than Disney resorts but offer similar facilities (though basic) and rooms. This, of course, depends on the time of the year you’re visiting. If you visit the peak season, you can easily find hotels ranging from $82 to $179. Peak rates usually start from February in the winters. And during the summers, they start from June. Fall rates start from September and last until December. Most of the time, hotels cost a lot because you’re paying for the special facilities and amenities they have to offer. If you’re perfectly fine not getting something extra special during your stay, you’ll find a hotel within your budget. This doesn’t mean you won’t get to avail any amenities. It just means that special facilities won’t be available, such as swimming pools, mini bars, and fitness centers. While a Disney World VIP Tour planner won’t help you find accommodation, what they will do is cut your homework in half. This means that while you look for accommodation, they will plan your Disney World tour for you. And if it’s your first time vacationing in Orlando, a professional can save you from a massive headache. There won’t be any last-minute problems or panicking. An expert knows Disney World inside out so you’ll have the ultimate vacation experience! 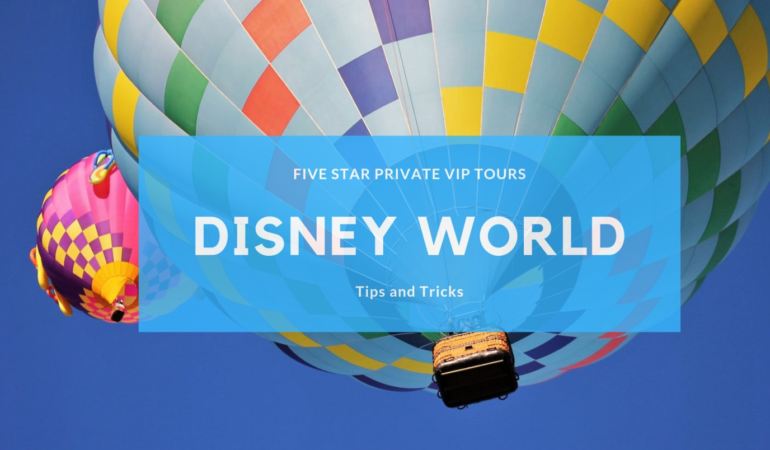 Book a private VIP tour to Disney World in Orlando with us at Five Star Private VIP Tours, and experience the magic that Walt Disney has to offer! With customized tours, minus the long waiting lines, advanced reservations and all-inclusive transport and dining reservations—what more could one ask for? Contact us now for more details!